Kenny G, Hong Kong protests: Smooth saxist visits demonstration site. 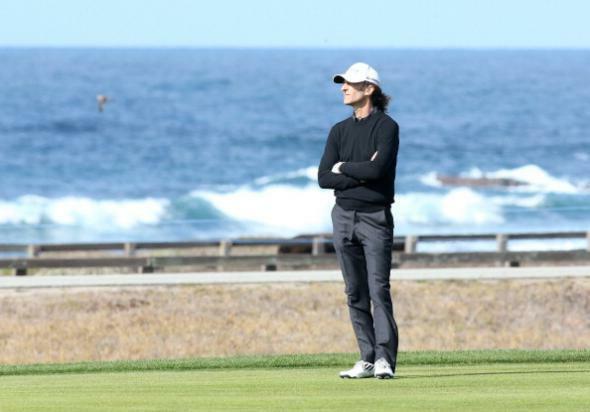 Kenny G in Pebble Beach in February, before he became the world’s leading dissident. Many of those who have condmned the protests, including the Chinese government, have claimed that they are in part the work of foreign/American agitation. The appearance of such a Western icon in Hong Kong was thus seen as a potential act of aggression requiring a stern response. Here is Kenny G’s “Closing Time” set to pictures of green forests and relaxed sea turtles and such. Here’s to a smooth, chill day for everyone in Hong Kong, China, and everywhere else.